Made for any 1" diameter light. A compact version of the FFA-T4. 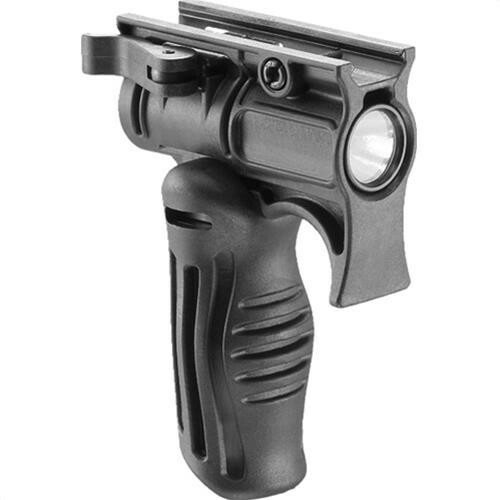 Transforms from horizontal to vertical grip for different applications. When horizontal, push the grip open and it locks in the vertical position. Press button to fold back. Design locks the hand in for extremely secure grip. See also FFA-T4 for 1 1/8" lights.